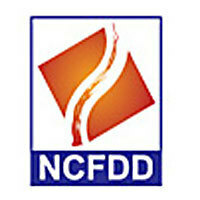 “The benefits of NCFDD membership are that faculty members gain access to an effective external mentoring community that is designed to increase research productivity, improve work life balance and connect faculty across different campuses,” said Kerry Ann Rockquemore, president and CEO of NCFDD and a 1999 Notre Dame graduate. Through Notre Dame’s membership, all interested faculty can take advantage of the services offered through NCFDD by visiting http://www.facultydiversity.org/ and registering. While most of the programs are virtual, Rockquemore will be conducting a live workshop on campus Nov. 8. Since its start in 2010, the NCFDD now serves 10,600 faculty at more than 350 colleges and universities throughout the country, including the University of California, Berkeley, the Ohio State University, the University of Iowa, and DePaul University. Originally published by Brittany Collins at newsinfo.nd.edu on October 08, 2012.